On dates 6-10 of February 2018, AHEAD - Association of Human Rights Educators will host the international group of participants as part of the NEW ERA – New Expertise for workers in European Refugees Assistance Project. The cooperation of partners, alongside with AHEAD, includes 5 more European organizations such as CSA (Italy – Coordinator), Municipality of Treviso (Italy), Romanian National Council for Refugees (Romania), IHO (Serbia), IBIS (Germany), and Training Vision (UK). All the partners are involved in its own ways and levels in the assistance to refuges and asylum seekers, what explain the relevance of such useful cooperation. The main aims of the Project “NEW ERA – New Expertise for workers in European Refugees Assistance” is exchange of the experiences of their work, the current local and national contexts around the issue of refugees as well as planning the follow-up activities based on the results of exchange and new gained competences of the participants. The Project lasts for two years and structure-wise consists of 5 mobilities hosted by diverse partners involved. The Mobility in Barcelona is a third meeting, after Romania and Germany. The two more mobilites are still to come: in Serbia – in April 2018 and in July 2018 in Italy. On the other hand, the e-learning platform www.newera-elearning.org/login/index.php and the web page of the Project www.newera-erasmusplus.org, support the learning process and exchange between the participants. The Mobility 3 in Barcelona will take place in the premises of La Fede (the Federation of NGO's for Global Justice), which membership AHEAD enjoys since its existence. 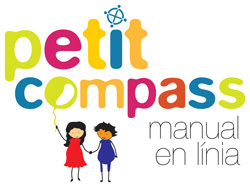 The four days program of the Mobility will include overview of the situation with the refugee and asylum seekers in Catalonia and Spain, introduction of the educational approaches of AHEAD – the Human Rights Education methodology and how it works in practice with diverse groups, such as children, youth, adult-learners, teachers etc. We will introduce how Human Rights Education may be applied through arts and s very specific method, such as Living Library. On Friday, the 9th of February, there will be an opportunity of the other members of La Fede to join the participants of the Project for the morning session about the Migration vs. Refugees, which will include debate groups on diverse dilemmas and challenges around the topic of refugees situation, hosting, inclusion, sensibilization of the communities, extremism etc. The Strategic Partnership KA2 Project “NEW ERA – New Expertise for workers in European Refugees Assistance” is financed by the Erasmus Plus Programme of the European Commission of the EU. Tags: Refugi. Bookmark the permalink.